A VPN, also known as virtual private network enables you to create a safe and secure connection to some other system. A VPN can be used to get access to region banned websites and secures and protects the online browsing activities from snooping eyes. Nowadays due to increased internet privacy protection VPNs have become very popular. Many people are switching towards the VPN service, but before they start using a VPN service, they asked tons of questions. Here mentioned below are 13 most frequently asked questions before they start using a VPN service? Q) Why I am using VPN? You are using VPN because it is a kind of network which enables you to communicate across a public, unprotected and unencrypted network. As all my personal information is open and hackers and attackers want them. Although, I don’t want my personal information to get into wrong hands. Moreover, the unsecured Internet connection is risky and dangerous at times so to protect and secure all the online activities and to hide the real identity I frequently use a VPN service. You can also get the unblocked Internet connection, whether its Netflix issues or unblocking a specific web page, it will be the best tool. Q) Does the VPN protect you? Yes! VPNs do protect the users. It enables the user to safely access any private network and also share data distantly by public networks without letting your real IP getting revealed. Just like a firewall secures your traffic data on your computer, VPN does it connected. Technically, a VPN is a Wide Area Network, the front end recollects the same workability, security, and appearance as it would appear on any private network. Q) How does a VPN protect you? VPN protects you in a way that it uses an amalgamation of constant and keen connections along with encryption protocols to generate virtual P2P networks. Now, if any snooping eyes manage to spy’s to draw off some of the communicated or conveyed data so, they would be unable to get access to the data due to encryption. Moreover, VPN enables individuals to hide their location, i.e., the IP address provided by a VPN provider replaces the user real IP address. By doing so, VPN permits users to evade content filters. For example, if you are living in China and want to access to Netflix so by using a VPN service your location appears to live in America. In this, you will be able to bypass the government filters and can watch your favorite movies. Q) Does a VPN hides your IP address? Yes, of course, VPN to hide your IP address. When you install the VPN network so, it will provide you a different IP address that will be observable to some other web tracing websites or hiding tools. In this way, your real IP address hides and it will not be visible to anyone. VPN is known to provide you with better security, anonymity, and privacy while torrenting. If you want to know that VPN really works so, you should ask yourself for what purpose you are using it. For instance, if you are using it for security and you have a VPN offered to you by your company or university, then it is safe. Nearly every VPN will protect you from the security angle because a VPN is intended to secure and protect your activities and traffic data from snooping eyes. Similarly, if you are using a VPN to remain anonymous and to know if it is working, you can directly access any site or any other streaming media restricted in your area. Q) Can you be tracked with a VPN? Well! In some cases, you can be tracked with a VPN too. There are two crucial aspects of this. The first is if your VPN provider knows your real IP address and if someone attacks on your VPN provider’s server so, your actual IP address gets revealed. Secondly, some VPN providers keep logs regarding the user’s history of network activities. In such circumstances, if any legal authorities enquired your IP address so, the service provider is bound to provide your actual IP address. Therefore, it is suggested to choose VPN who don’t keep logs. Q) Can VPN be traced? When you connect to a VPN server, no one can trace you except the VPN service provider. As all the traffic is encrypted so, even the ISP cannot trace you. The ISP only sees a channel of encrypted data traveling between the VPN server and the system. 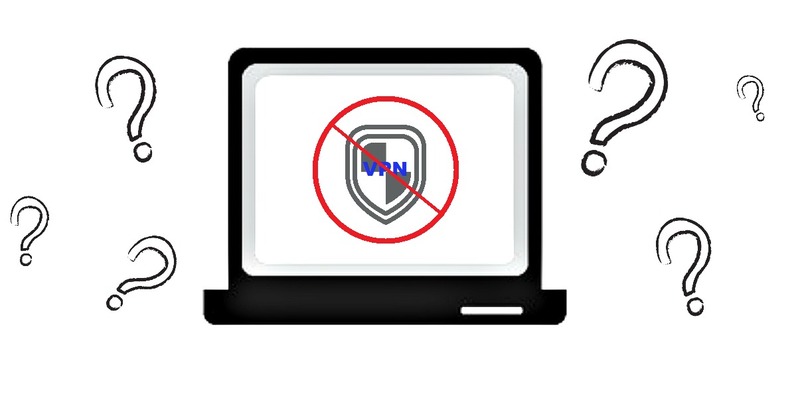 Q) Will a VPN Protect me? Q) Is my VPN secure? To your shock, a study revealed that 84% of the free VPN apps reveals leaks user’s IP address. There are also several paid VPNs which are doubtful to data leaks. To confirm and check either your VPN is secured and encrypted you can undergo different encryption test like DNS leak test, IP address test, and P2P torrent IP test. Q) Does a VPN hides you from ISP? Yes! VPN hides you from the ISP as well. When you connect to a VPN server so, it will ultimately hide your IP address and will show the IP address provided by the VPN provider, and it won’t be visible to anyone. VPNs make secret tunnels which are encrypted and guarantees that no one can see which websites you are accessing and to which servers you are swapping the data. Q) Can your ISP see your VPN? A VPN is intended to encrypt the user traffic data sent via your ISP to the VPN server to which you are connected. It surely helps you to avoid your service provider from seeing whatever you are doing online. It adds on all the websites you visit, various sorts of data you send and receive. Some sites use Transport Layer Security (TLS) to protect and encrypt the traffic data. Although, a VPN assures that everything is secured and protected. Q) What do VPNs hide? VPNs hides the user real IP address from the ISP and the snooping eyes so that they can perform any online activity anonymously. Q) How is VPN tracking? As mentioned above that in some cases VPN can be trackable. The VPN tracking is often offensive as revealed by the studies. According to an investigation conducted during the start of the year, out of 115 popular VPN services, 26 of them gather information which can make your identity exposed. The collected information consists of IP address, communication details, location, and bandwidth data. Hope all these questions have cleared your confusion and all queries regarding a VPN service and has helped you to seek information you were looking!